Pricing level can be divided into General & Member Pricing. General pricing level allows you to sell your product at various pricing during different time of the day. 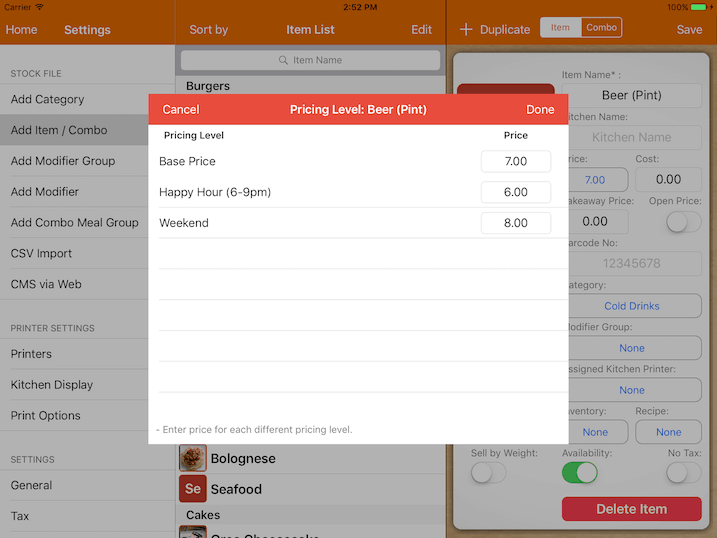 Member pricing allows you to sell a different price to member who patrons your restaurant. To begin, you have to configure at least one pricing level. We will go through each of the necessary field. Turning it off will disable the pricing level. Any item with that particular pricing level will return to it's base price or a different pricing level that is in effect. Naming for your own reference. ID will be displayed in report. For example if 'HH' is set as the ID, Beer (Pint Sized) - HH will displayed in the report when you sell a Beer (Pint Sized) during that pricing level period. 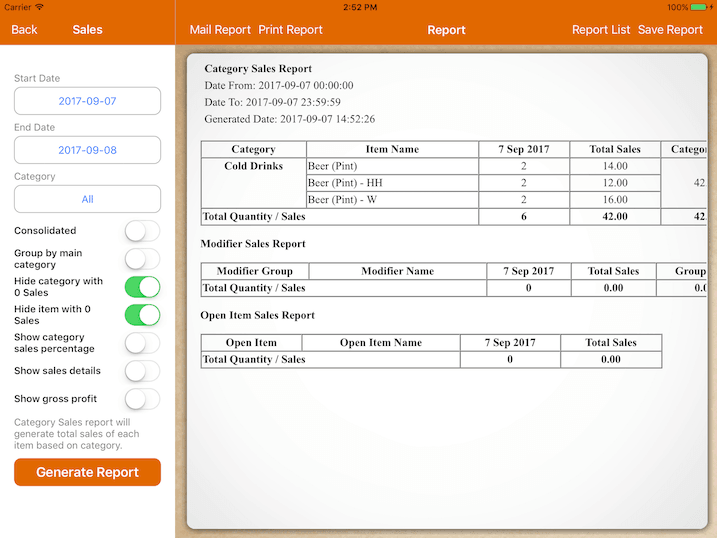 An example of report for product sold at different pricing level. Configure the time that is valid or in effect. Configure the day that will be in effect. It can be everyday or a specific day. For member pricing level, it is not required to specify the time and day as it will be in effect all the time as long as the customer is assigned to the bill. 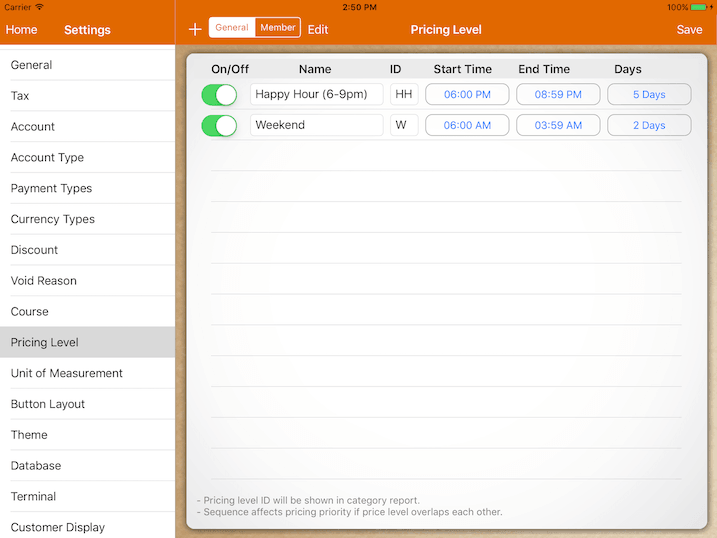 * Sequence affects pricing priority if price level overlaps each other in time or day. Upon configuring the pricing level, each item can now have multiple pricing level. Price of item will be changed automatically based on the time configured. No manual intervention is required. You could always test your configuration by changing the iPad date/time. However if you're using CloudSync, it is not advised to do so. 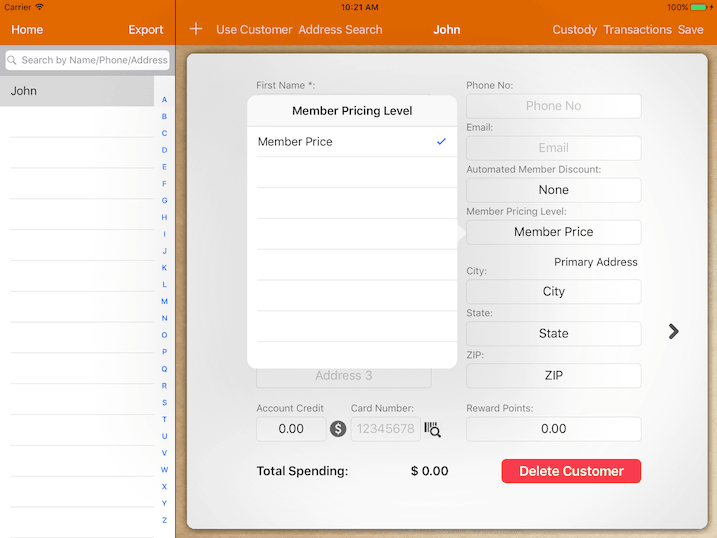 As for member pricing, you would need to assign member pricing level for the customer. If customer account is assigned to the bill and customer does have its own pricing level, order's pricing will be affected. As for user with the right privilege, they can overwrite the current pricing level for that particular bill. 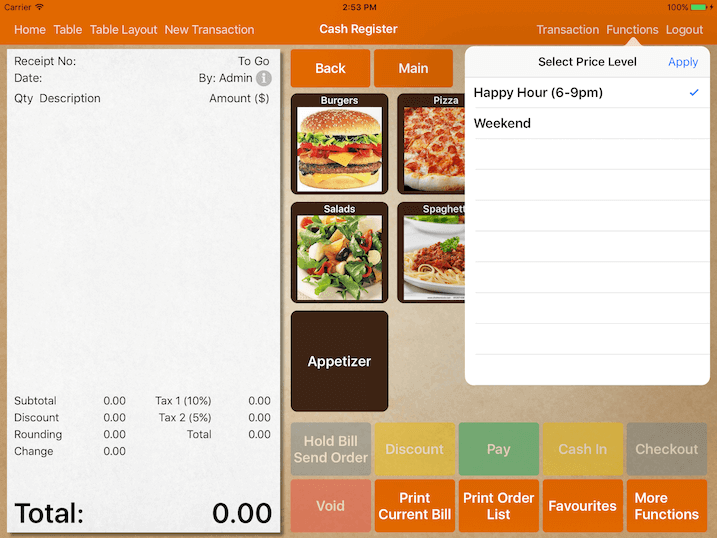 It can be done under Cash Register -> Functions -> Price Level and select the preferred price level. Price level will be reset to default current price level after user Hold Bill or Logout.